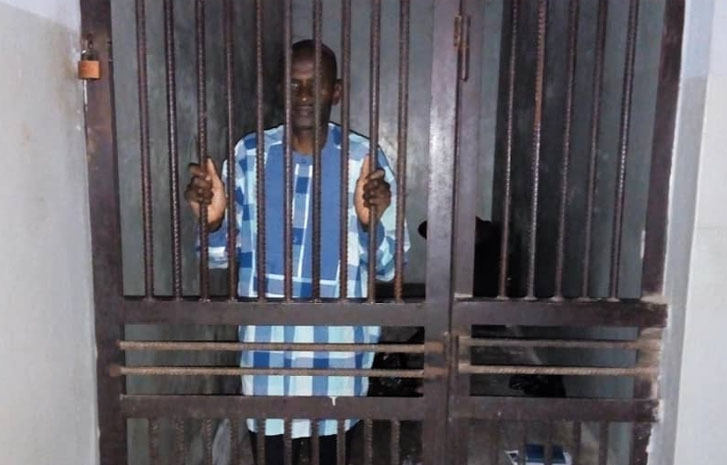 An organisation that fights for the rights of journalists across the world has demanded that the Nigerian authorities release without delay Jones Abiri, publisher and editor in chief of the Weekly Source newspaper, and drop all charges against him. Nigeria's state security service, known as the DSS, arrested Mr Abiri on July 21, 2016, and has imprisoned him since. Mr Abiri’s publication is based in Yenagoa, in the oil-rich Bayelsa state of Nigeria. The Committee to Protect Journalists (CPJ) said that on August 2, 2018, Mr Abiri appeared in an Abuja magistrate's court, his second court appearance in a week after two years without trial or family visitation, according to CPJ research. He was arraigned on July 27, according to Femi Falana, the head of the legal office representing Mr Abiri, and Chikezie Omeje, who covered the hearing for the non-profit International Centre For Investigative Reporting (ICIR) news agency. Mr Abiri was charged at the first hearing with sending text messages to two oil companies, Shell and Agip, allegedly demanding payments, according to the same sources. CPJ said it was unable to determine more details of the charges. A lawyer for the DSS, Jamilu Hamisu, told recent hearing that the DSS witnesses were unable to attend because they were out of the country, according to Omeje. "Jones Abiri should never have been arrested and his over two years being held without due process is an outrageous injustice that should be ended without further delay," Angela Quintal, CPJ Africa Program coordinator, said today from Johannesburg, South Africa. "Nigeria must hold accountable those responsible for Abiri's detention, including the security service, and send a message that such flagrant abuses against journalists and press freedom will not be tolerated." The DSS operates under Nigeria's coordinator of national security, which reports directly to Nigerian President Muhammadu Buhari, according to Nigeria's 1986 National Security Agencies Act. CPJ's repeated calls to Lawal Daura, the recently sacked DSS Director General, Lai Mohammed, minister of information and culture, and Garba Shehu, presidential spokesperson, went unanswered. Following the hearing, Mr Abiri was moved from the DSS detention in Abuja to a general prison facility in Keffi, located in Nasarawa state, according to Omeje and an article on the news website Premium Times. Mr Falana told CPJ that during the July 27 arraignment, bail was set at 2 million naira (US$5,555) and required that two high level civil servants serve as guarantors. During the August 2’s court proceedings, Mr Abiri's counsel Marshall Abubakar petitioned to have the bail conditions revised, according to the same ICIR report. On July 3, Mr Falana filed a 200 million Naira (US$555,555) lawsuit against the DSS in federal high court on Abiri's behalf, accusing the DSS of violating the journalist's fundamental rights, Mr Falana said. We were unable to determine if a hearing date had been set for the lawsuit. Two days ago, on August 8, a hearing headed by Margistrate Chukwuemeka Nweke, ordered that the journalist to be release on the conditions of two sureties, one of whom should be a Nigerian government employee not below level 8, residing within Abuja area. The magistrate said the civil servant must present his letter of appointment and letter of last promotion. Regarding the other surety, the court said he could be an executive member of the Nigerian Union of Journalists (NUJ), with landed property in Abuja. This second surety is also required to deposit original land title to the court.